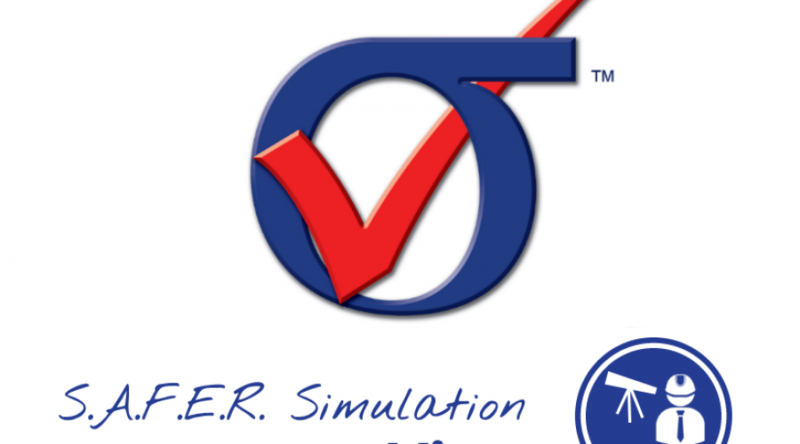 SAFER Simulation | ESRD | Engineering Software Research and Development, Inc. Welcome to S.A.F.E.R. Simulation – a blog by ESRD! Here, you will find stimulating discussions on topics like Numerical Simulation, Simulation Governance, best practices and lessons learned, technology for the Aerospace & Defense industry, NAFEMS initiatives, and more. 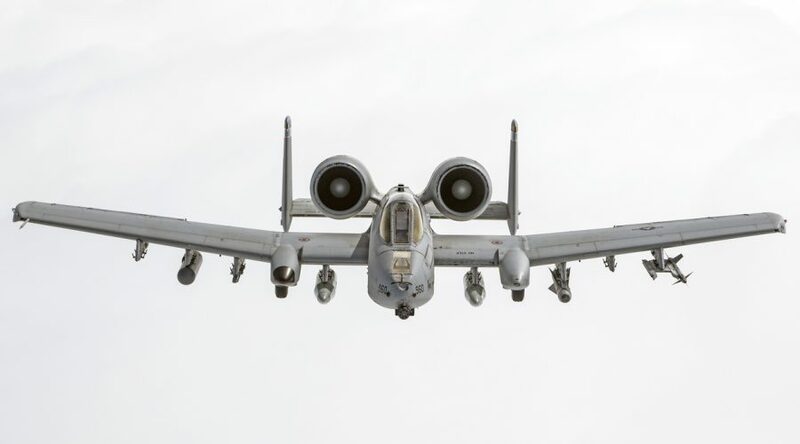 Our blog’s mission is to identify, explore and communicate Numerical Simulation technologies and solutions for the A&D industry that are Simple, Accurate, Fast, Efficient & Reliable. In this edition of S.A.F.E.R. Simulation Views we asked Brent Lancaster, ESRD's Principal Support Engineer, about the basics of StressCheck Professional. Learn why it was developed, what it supports, how to master it, and more! In this S.A.F.E.R. 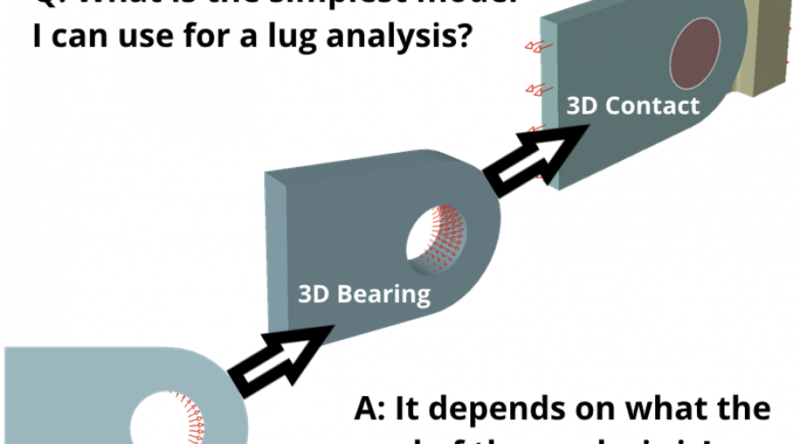 Simulation post, we'll explore Five Key Quality Checks for verifying the accuracy of FEA solutions. 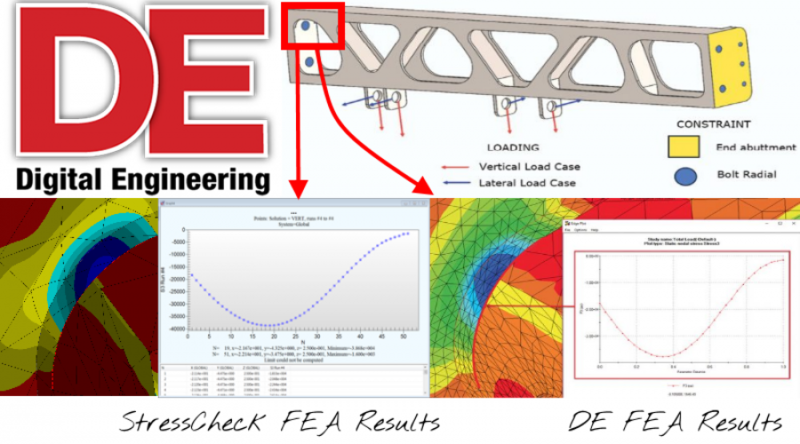 To help us drive the conversation in a practical manner, we selected a widely available and well understood benchmark problem to model, solve and perform each Key Quality Check using ESRD's flagship FEA software, StressCheck Professional. 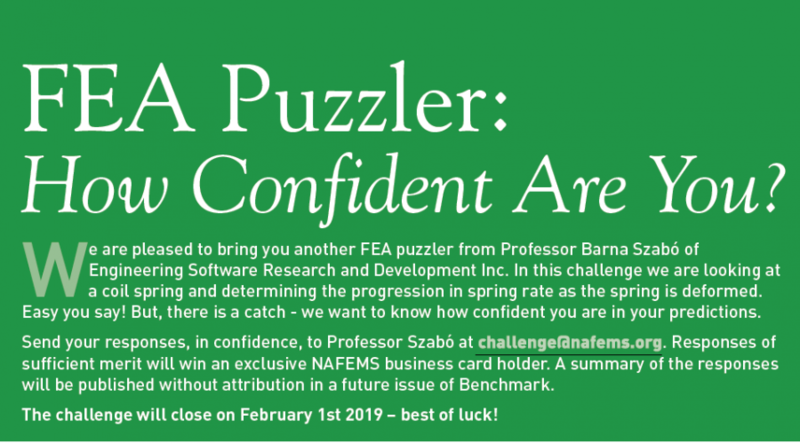 The deadline for the NAFEMS coil spring "FEA Puzzler" submissions has been extended through June 1st! View a teaser video of ESRD's StressCheck model and qualitative deformation results. 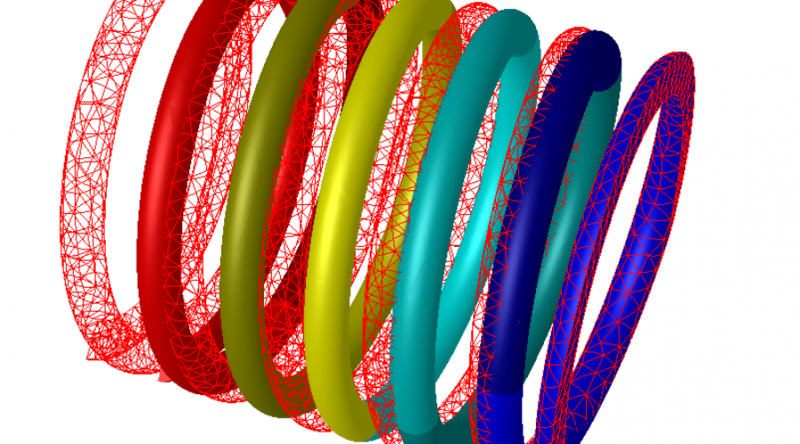 In the October 2018 issue of NAFEMS Benchmark magazine, ESRD Chairman Dr. Barna Szabó posed a new "FEA Puzzler": Can you determine the progression in spring rate as a 3D coil spring is deformed? And, can you verify the accuracy of your solution? Give it your best shot! 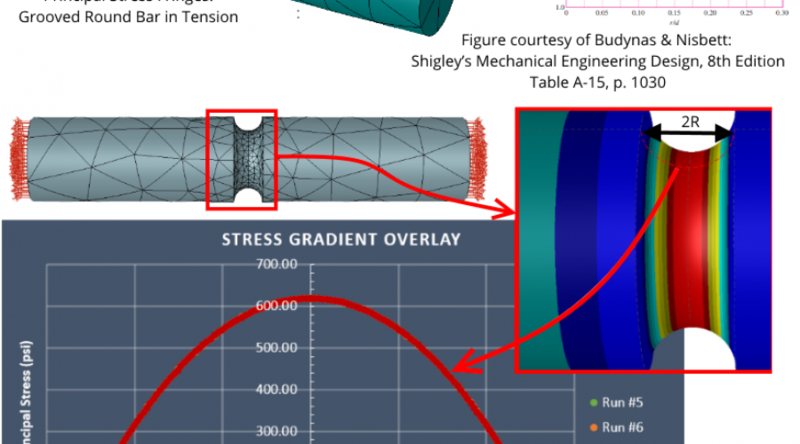 In recent years, Digital Engineering contributor, NAFEMS instructor and FETraining.net developer Tony Abbey has put together a list of practical engineering simulation case studies, walk-thrus and software overviews for a variety of FEA software tools. Watch as ESRD reproduces a selected set of his 3D detailed stress analysis case studies, and see how we compare with Digital Engineering's published results! Why Is a Hierarchic Modeling Framework Important? In this S.A.F.E.R. Simulation article, we explore the concept of Hierarchic Modeling, some practical applications of Hierarchic Modeling, and the importance of implementing a Hierarchic Modeling framework in CAE software tools to support the practice of Simulation Governance.